Spring Clearance: For a limited-time, Clearance and Overstock PCs starting at $149. Sorry, this item is not available anymore for purchase online. Please see our recommended replacement product. It goes beyond beauty. Bonded Corning® Gorilla® Glass, machined aluminum and carbon fiber are incorporated to enhance the performance of this Ultrabook™. Strikingly thin, with more room to view. The XPS™ 13 Ultrabook™ is a slim 6 mm (0.24”) at its thinnest point, 18 mm (0.71”) at its thickest point and features a 13.3" HD display cleverly fit into a footprint that's similar to an 11" laptop. With up to 2nd Gen Intel® Core™ i7 processors, this Ultrabook™ delivers the speed and performance you’ve come to expect from the XPS family. Always up to date. Ultrabook™. Inspired by Intel. XPS 13 Ultrabook™ boots in as little as 8 seconds and resumes from sleep mode in just 1 second (4 seconds from deep sleep). A solid-state drive and Intel Rapid Start Technology makes it possible. XPS 13 Ultrabook™ feels as good as it looks, thanks to a comfort-designed keyboard and a sleek, gesture-enabled glass touch pad. Enjoy more. Worry Less. Every Inspiron™ and XPS computer comes with Premium Phone Support and In-Home Service after Remote Diagnosis. It’s America’s Best Standard Support. Complete your XPS 13 Ultrabook™ experience. Your XPS 13 Ultrabook™ is just the start. Look for these great additions when finalizing your purchase. Your XPS 13 Ultrabook™ comes preloaded with 1 year of Skype™ Premium, McAfee® AntiVirus and lots more. Which service duration is right for you? 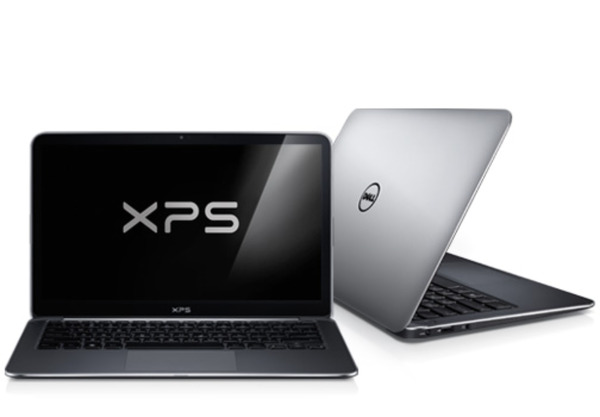 Sleep easy knowing your Dell XPS comes standard with America's Best Support. But don't stop there — we can customize a suite of support, protection and optimization services that is just right for you. Learn More. Whether you want accessories for work or travel, you'll find what you need at Dell.com. Select from a wide range of products designed to help you get the most from your PC experience. Free Shipping & Price Match Guarantee Enjoy free shipping, easy returns, and price match guarantee.